Sorry this month’s blog is a bit late, it’s been a very hectic month! Information is the key to any well running organisation. The mark of a human civilisation is the ability to record the world around us and display that knowledge in the future. From cave paintings, through parchment and paper, right up to the computer our advancement as a species has been reflected in how we record information. That being said, some of the greatest tragedies of our history have been the loss of information. In the dark ages we lost a great deal of technological and cultural information which took centuries to recover and relearn. Knowledge of ancient peoples, places and practices have been lost due to no written records existing. Even in recent times, so many black and white films and early TV shows were discarded with no consideration of their value in the future, never to be seen again. What would you do if tomorrow all computers stopped working? Without access to all the information we have stored on computers we would be in complete anarchy. How about you personally? What would you do if your computer crashed tomorrow? Could you continue your work/job without computer support? How easy would it be for you to restore any lost data? For many businesses the loss of critical data can spell the end of operating. In the public sector, the loss of documents can cause confusion and damage public confidence in a local government body. Whilst most people won’t even consider emergency procedures, any computer is at risk of damage. Be it a virus, floods, theft or accidental damage, computers are surprisingly fragile and most people only store data on a single computer. What are the solutions to this? Well you could store a backup on an external drive like a USB. However this is dependent on the drive not also failing, and finding somewhere safe to store the drive. Also as more updates are made to the data, you will need to personally update your back up. How often will this be done, once a month, once a year? What if critical data is gained BEFORE you can get around to backing up? Another solution is online data backup. Cloud storage looks to be the future of computing. Cloud storage often will see your data uploaded with security encryption to prevent unlawful access, stored on multiple servers to ensure prevention of loss, and will automatically back up the data at allocated times so you don’t even have to remember it. 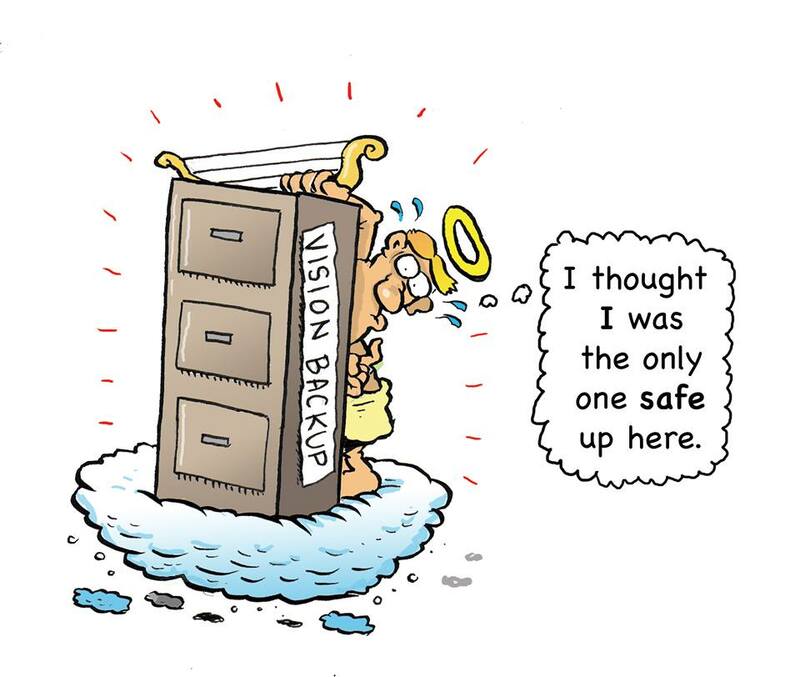 Vision ICT offers its Vision Backup services to help keep your data secure. If you want to utilize the Cloud and want the complexity of organising it taken out of your hands, then give us call and we will provide you with details about our service. SKARTEC's digital marketing course in Chennai is targeted at those who are desirous of taking advantage of career opportunities in digital marketing. Join the very best Digital Marketing Course in Chennai. Get trained by an expert who will enrich you with the latest digital trends. As for me, it was great idea when I decided to take a look here. I am a teacher so now I know how to make a class entertaining. Follow through to this amazing guide https://essayclick.net/blog/get-into-harvard on how to get into Harvard easily.